Mary Kom is on course for an unprecedented 6th gold medal after beating North Korea's Hyang Kim 5-0 in semis at the World Championships. 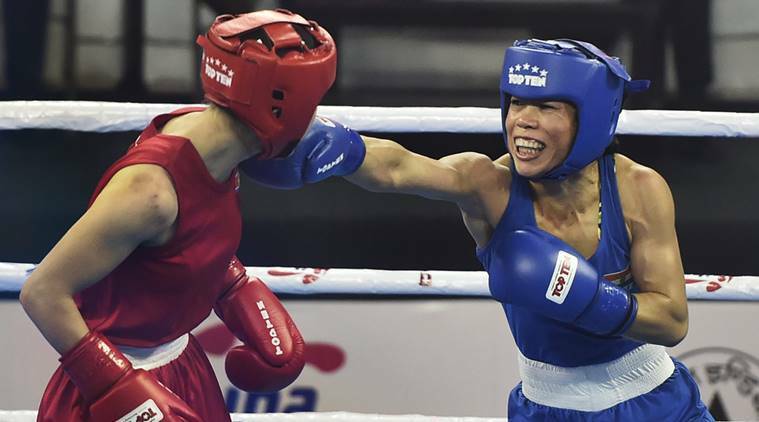 Last November, after winning her fifth Asian Championship gold and kickstarting the comeback tour, Mary Kom had singled out North Korea’s Kim Hyang-Mi as the “toughest opponent I faced in Vietnam.” Ahead of the 48kg World Championships semifinal, Mary reaffirmed that she was not taking Kim lightly. “(Kim’s) game can change from that last loss,” she said on Tuesday. 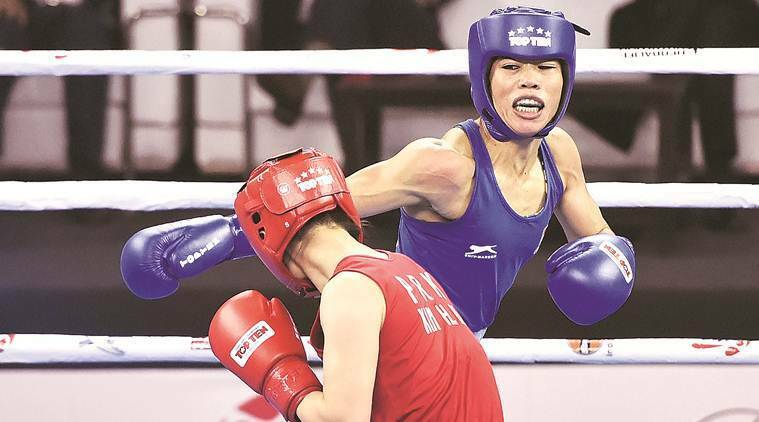 But the veteran still had to do a double take on Thursday, as for the briefest of moments, Kim Hyang-Mi was out-‘Mary Koming’ Mary Kom. Instead of rushing in with attacks as she was expected to do, Kim stayed back and waited to counter Mary. The boxers split the clean blows in what ended up being a tense opening round of a worlds semifinal. A Moroccan judge, in fact, gave the first round to the North Korean. The five-time Worlds gold medallist adapted and prevailed to secure a unanimous 5-0 win and keep the campaign for an unprecedented sixth gold alive. Kim, 28, tried to land blows from the outside against a three-inch shorter opponent. Now, taller boxers picking off their opponents from the distance has been the running theme at the event, one Sonia and Simranjit Kaur would like to continue in their semifinal bouts on Friday. But Mary, who spent a chunk of her 18-year long career as a flyweight, winning the 51kg Olympic bronze in 2012, has had experience of fighting taller, stronger opponents. Mary slipped the shots, and unleashed combos from the inside, before bouncing away. Then Mary, who fights as a southpaw, also brings the usual sinister advantages. And like any other southpaw worth his weight in the ring, Mary shuts her orthodox opponents’ lead hand, blocking or parrying it away to leave them open for a counter left in a single, clean motion. Easy in theory, made easier by years of experience and hours of daily pad work. Once she hit the groove, Mary was in her element, avoiding exchanges and finishing rounds with flurries. Competing at only her second major international event, Kim couldn’t get a look-in for the rest of the bout. Mary had alluded to the gap in experience after her Asian Championships gold last year. Owning the moment and adjusting on the fly is the lesson to learn for youngsters like Lovlina Borgohain, who lost the 69kg semifinal 4-1 to Chen Nien-Chin of Chinese Taipei. Squarely in the spotlight, Borgohain seemed fazed by both the occasion and her wily opponent. Chen, who had defeated the Indian earlier in the year, eyeballed Borgohain, switched stances, dropped hands, feinted and countered. Borgohain started out brightly, but was soon reduced to swatting a particularly-annoying fly. The random combinations never built to a sequence, the double-jabs failed to close the distance and a frustrated Borgohain was cautioned for hitting her opponent on the back of the head in the clinch. On the other hand, after the testy first round, Mary found her rhythm, slipping and countering with left hooks and coming in and peppering Kim with one-twos and shots to the body. A fascinating bit about her ringcraft remains how while disengaging from a clinch, Mary almost always delivers the final shot. The message is clear to all ill-wishers — hug Mary at your own peril. Everyone would do well to catch the country’s greatest boxer at the top of her game.